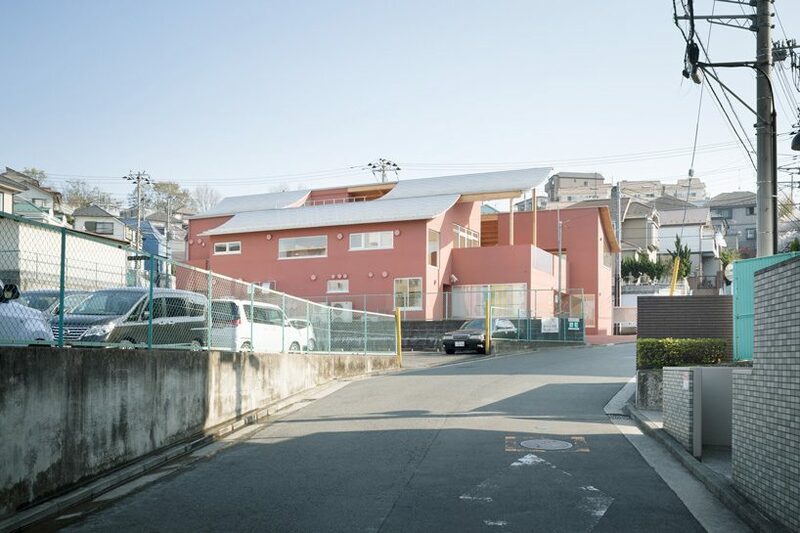 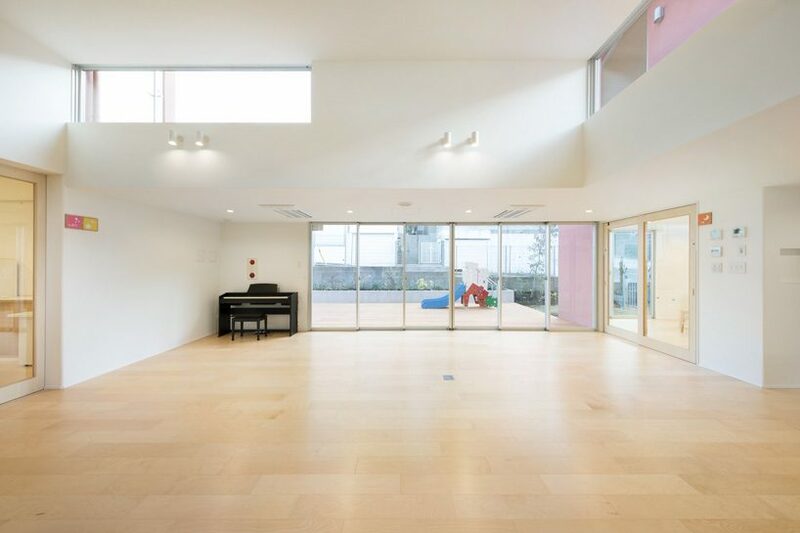 the komaoka nursery school by tomoyuki kurokawa architects is located on a sloping site of a suburban residential area of ​​the tsurumi ward in yokohama. 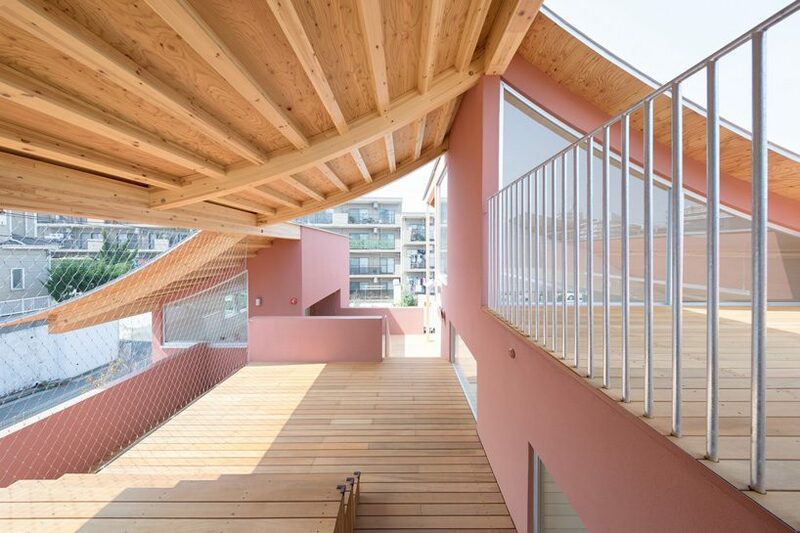 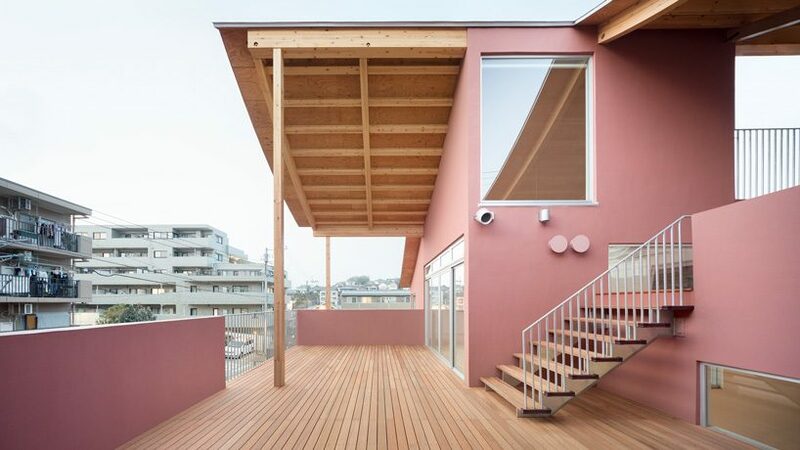 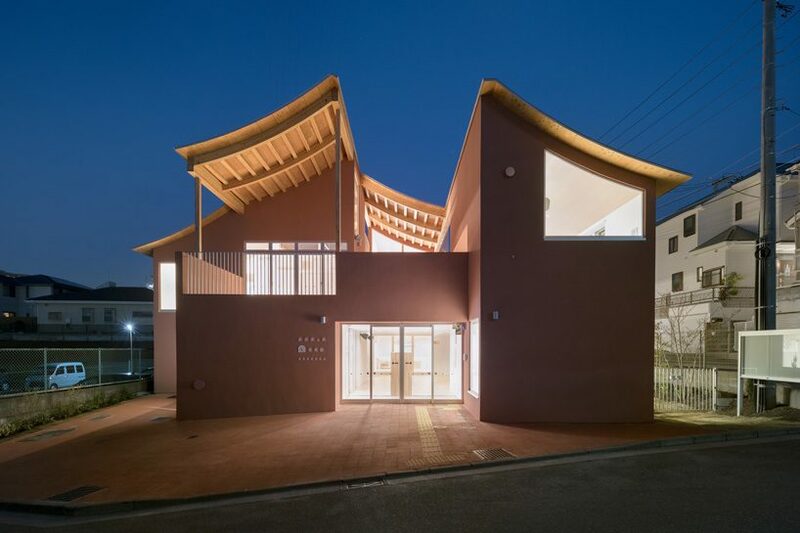 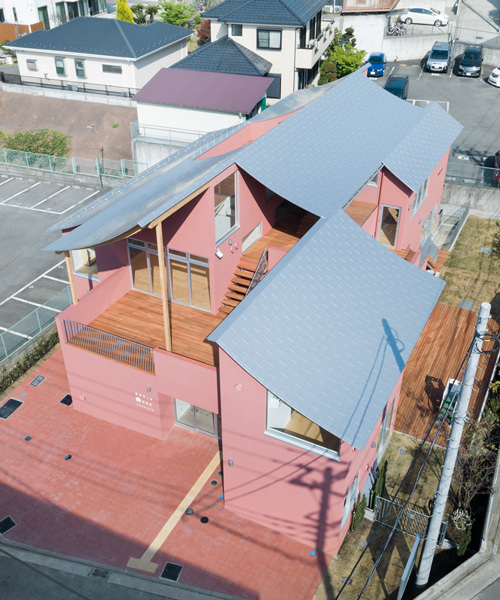 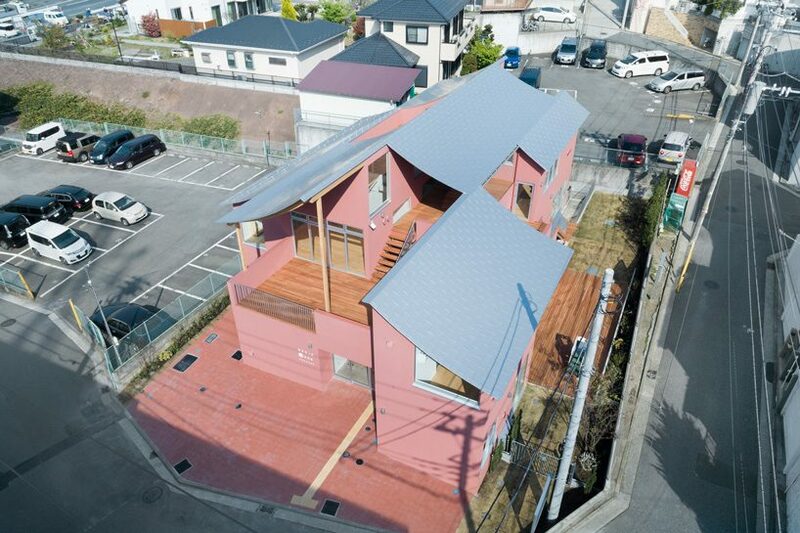 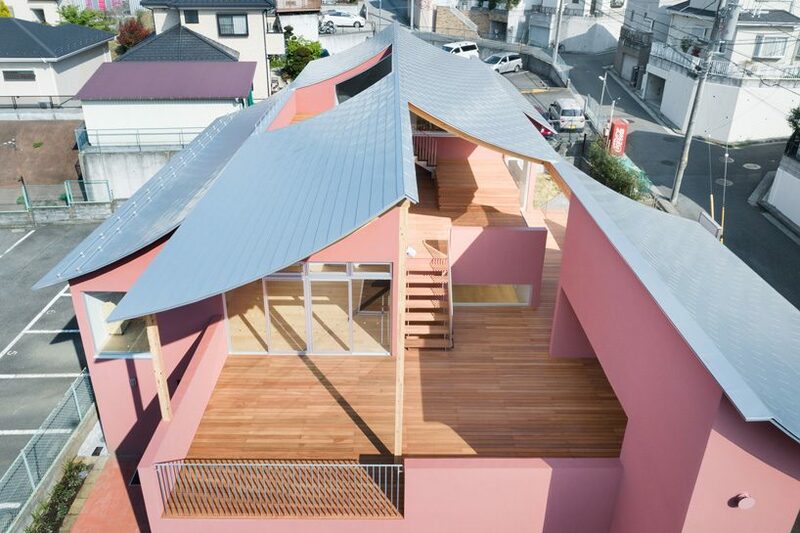 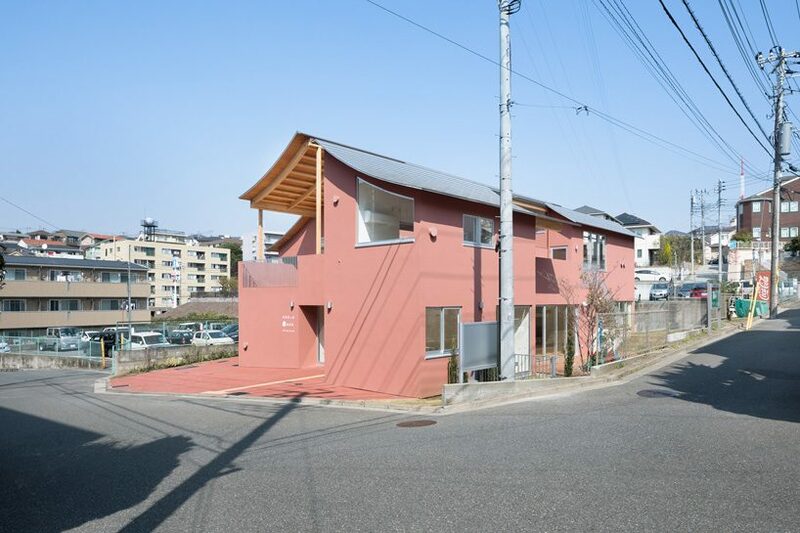 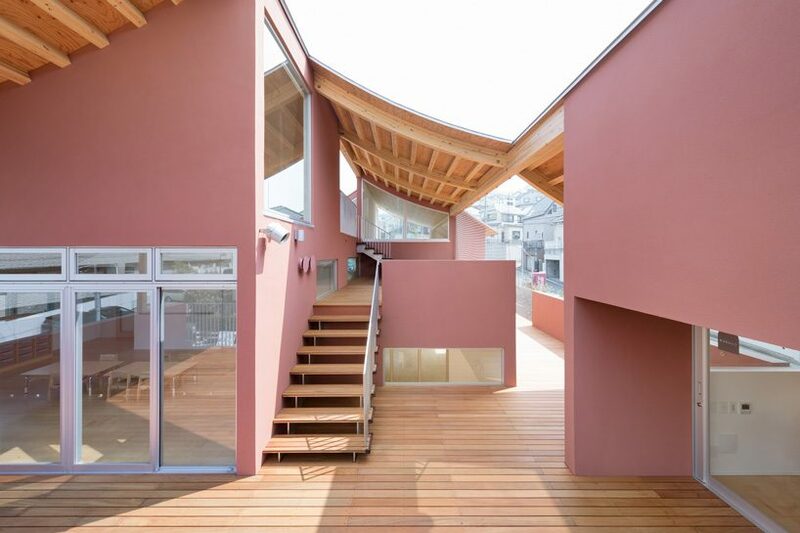 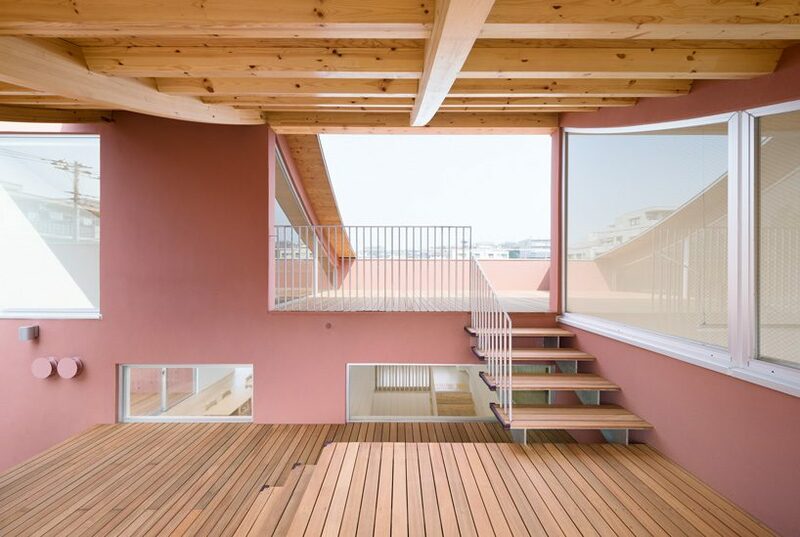 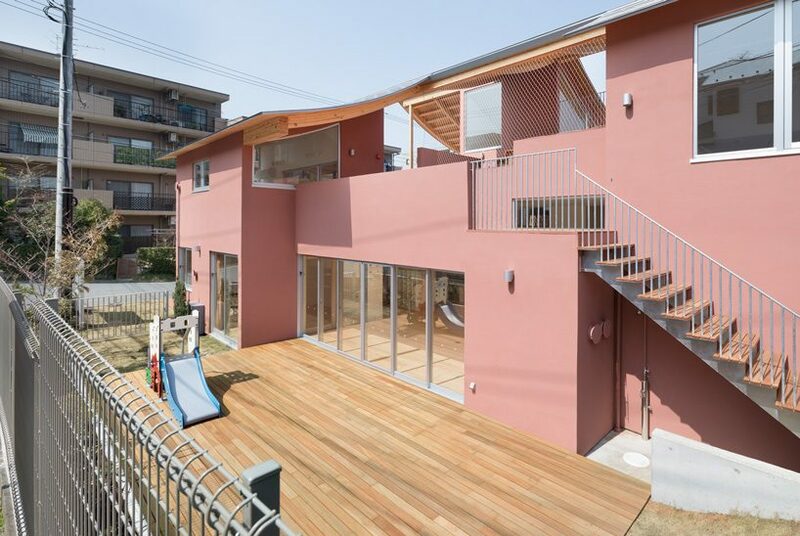 the school stands out from its densely populated surroundings with its salmon pink exterior, wooden frame, and curved roof formed by bent beams of laminated wood. 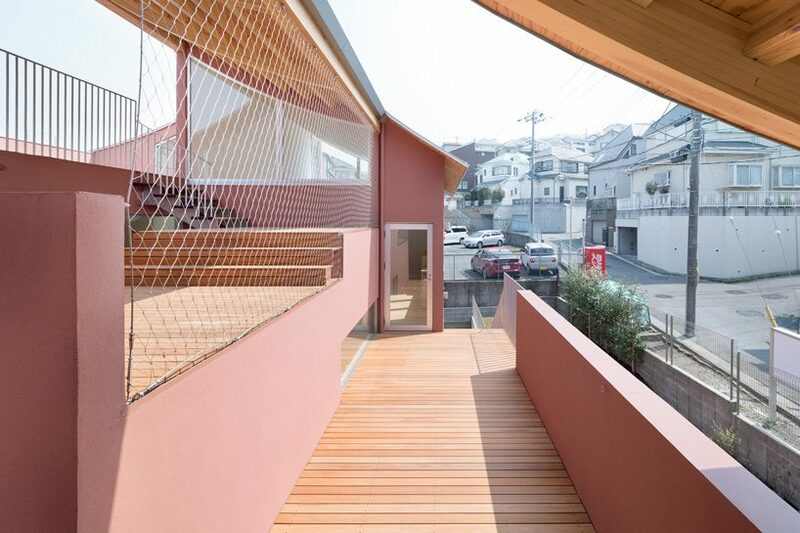 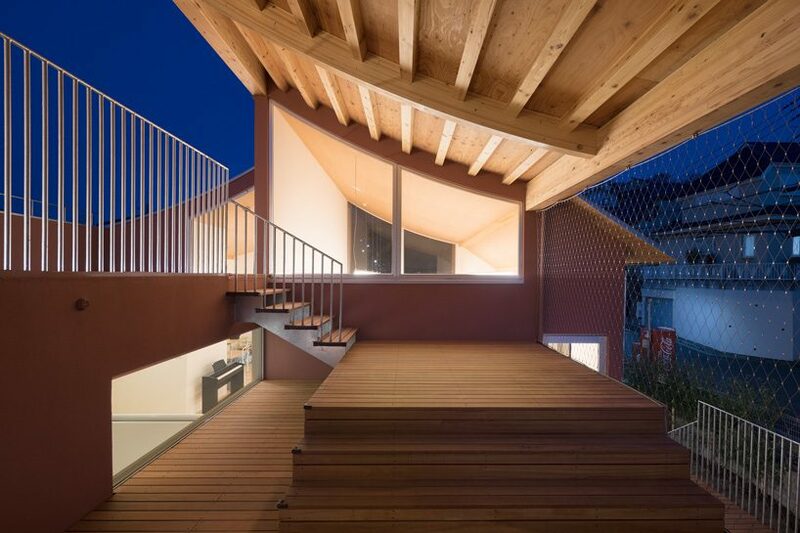 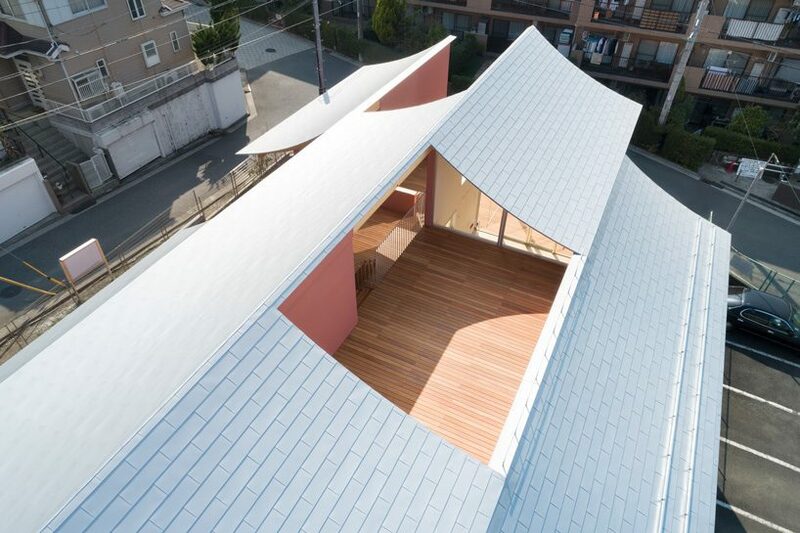 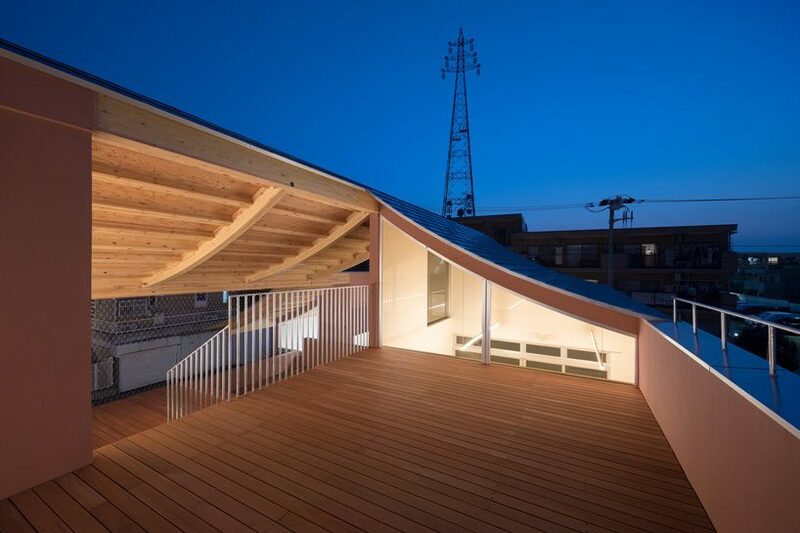 tomoyuki kurokawa architects has built the komaoka nursery school with a multi-level outdoor terrace, sheltered partly by the curved roof, that serves as a playing environment and a substitute for a large garden which could not be secured due to the size and morphology of the site. 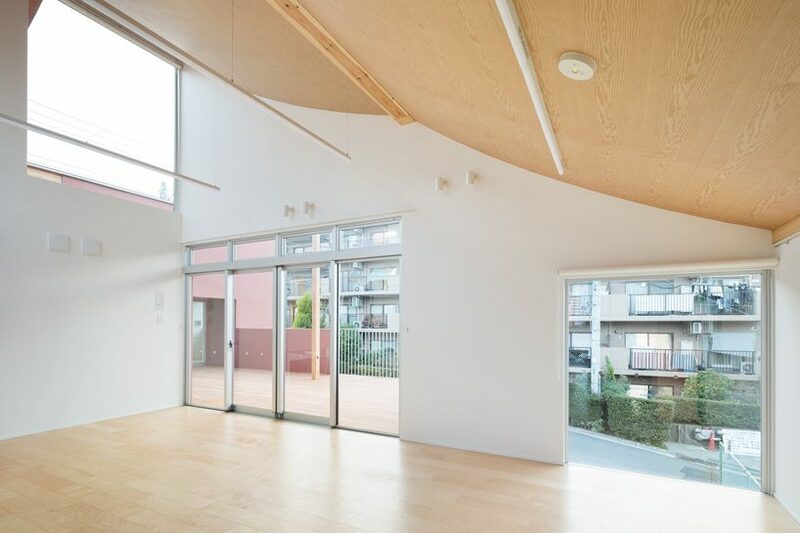 showered in natural light that enters through various openings on its walls, the interior has a capacity of 60 people and is developed around a central hall located in the middle of the ground floor. 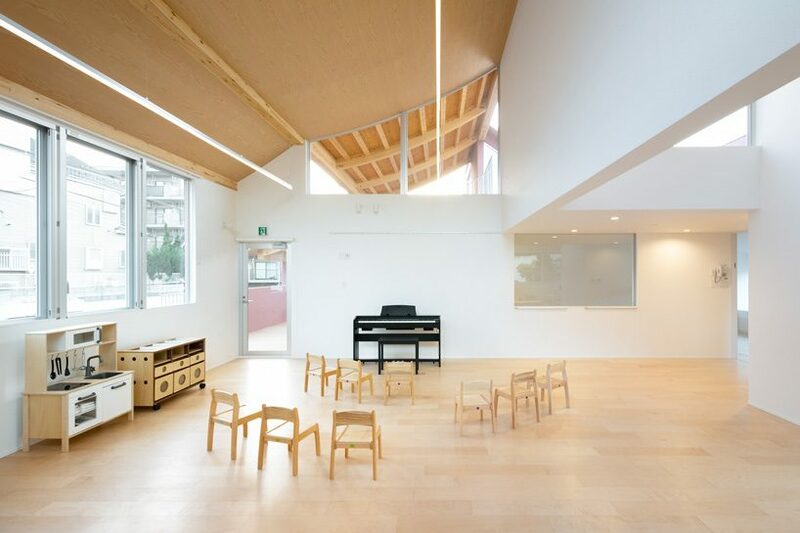 with connections to both the outdoor terrace and the nursery rooms, the hall can be used flexibly according to different demands, while it also offers a space where parents and community residents can connect and interact. 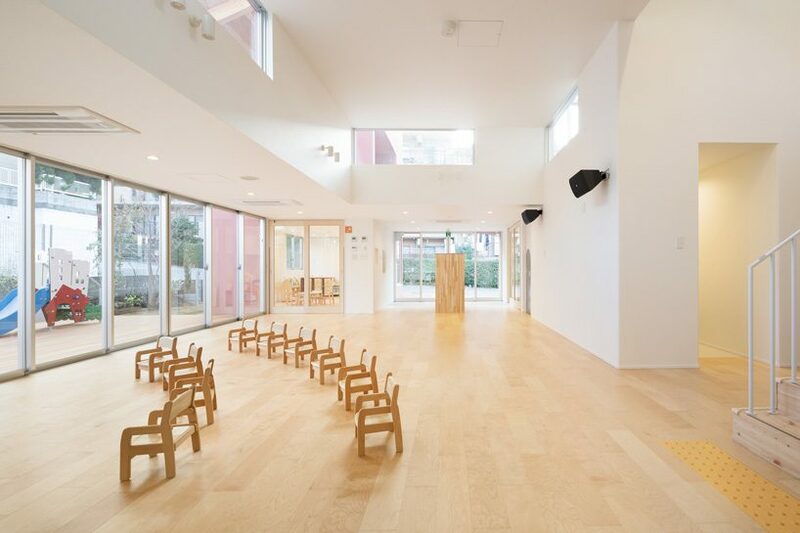 in addition to providing opportunities for contact, it is a place where multiple activities in the child’s growth process can take place.